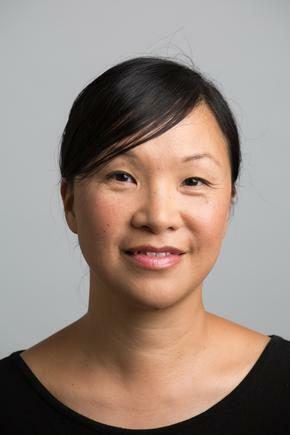 There’s no doubt we’re living in a world where content, brand and technology are converging, BBC Studios' global CMO, Jackie Lee-Joe, says. And that’s exactly why she believes data-driven, digitally savvy and customer-aware marketers are in an incredibly strong position to help their organisations succeed. Lee-Joe certainly is, with a remit covering three broad areas of the BBC business: Brands, marketing and digital. With regards to brand, she works alongside group franchise directors to build the end-to-end brand view and commercial strategy for BBC’s global properties, a list that ranges from Doctor Who to Blue Planet, BBC Earth, Top Gear and Sherlock. This encompasses marketing and brand activity, such as running media upstream with production companies and partners as well as in-house production, to sharing marketing insights and providing brand and title development, and developing propositions that result in activations downstream. “That could be pushing for financing in the case of co-production deals, through to taking that content to a broader B2B community, or our 700 buyers worldwide,” she explains. Digital, meanwhile, starts with core digital marketing, and Lee-Joe’s team runs all BBC owned channels globally, a list that includes 29 websites, CRM capability and social. On average, the group sends 153 million emails per month, and boasts of 62 million social fans across core channels. It also scoops up more than 1.5 billion video views annually. In addition, Lee-Joe looks at digital partnerships, a growing element on her priority list. High-profile examples include BBC Earth and Google Earth and VR, Snapchat and Tencent. “Increasingly, we’re developing out broader digital strategies for content with digital partners as we move into commissioning,” she says. The last part is digital innovation, and Lee-Joe runs BBC Studios' accelerator program, working closely with R&D. With more and more channels emerging, media fragmentation, a rapid rise in broadcast and content competitors, and ever-higher demand for more customised and personalised content, Lee-Joe says it’s vital BBC builds out global brands that are relevant no matter what platform they appear on. 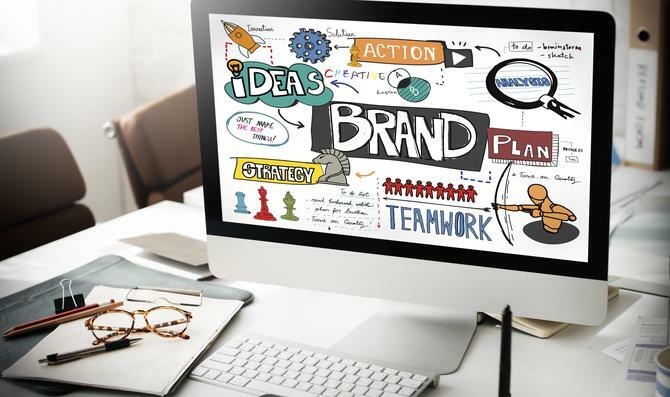 “In content and media, companies are increasingly recognising the value of brand. I think it’s because it’s very hard to get your content noticed today, it’s very competitive and you have viewing habits fragmenting, plus there’s more competition than ever before,” she comments. “In the US, 487 new scripted series came out, which is more than double that in 2010. Outside of the US, 1316 scripted series came out. US online originals increased by 680 per cent in five years. And there’s increasingly combined investments with the likes of Netflix and Tencent for original content. On top of this are younger audiences with higher expectations that you know who they are, how they consume content, and even which way they hold up a device, Joe-Lee says. “Those filters, because they come from that audience-led approach, are increasingly going to inform and shape the direction of how we surface up and develop content that is relevant to audiences in the new world,” she says. Not surprisingly then, one big area of investment for Lee-Joe is insights. Building capability is about embracing and incorporating data and analytics in the BBC’s marketing approach, as well as better supporting production. One example is BBC’s data science project, content genome, where it’s using data combined with machine learning and predictive analytics to understand by region what audiences are looking for in content and how that leads to audience demand by region. The BBC is then using Affinio’s interest analytics platform to get a better view of how to segment social audiences. “We look at what that means in terms of social audiences, then off the back of that, we support it with fan and panel data, which enables us to look at differences in terms of programming, what’s really resonating and where there are global themes. All those tools are being put into process to support all areas of the business,” Lee-Joe says. The second major capability Lee-Joe is building out not just in marketing but across the organisation is franchise management. “It’s increasingly important we build equity into those global brands in order to maintain our distinctive positioning in this crowded, disintermediate market,” she says. “It raises a big question: How to range your IP across multiple channel and regions, and across multiple lines of business to ensure the editorial narrative is built out in order to optimise them in a world of digital gaming and extension into digital content? A lot of that comes down to how the BBC manage IP through its lifecycle, and gets a more optimal view of brand attribution, reach, distribution, community value and importantly, impact, she says. Because brand purpose and impact is vital to the BBC. Take its content offering, BBC Earth, a 360-degree brand that encompasses Earth channels in multiple countries, support and supply of 4D and giant screen films for museums globally, book publishing for all landmark series, and children books. On top of this, the BBC works to build education partnerships, such as one with Microsoft, to integrate content into STEM activities. Lee-Joe points to developing out immersive TV formats with Snap and Tencent. With Tencent, for example, the BBC developed ‘Tencent playlist’, which includes longform content and apps plus 10-15 minute video sequences. In addition, it’s creating original mini-form episodes, 360-degree content, and even eticketing. “Cumulatively, we’re getting to 250 million views and growing,” Lee-Joe says. Importantly, 50 per cent of the audience for Blue Planet 2000 in Tencent is under 29 years of age. “When we did the Snap Planet Earth original two shows, 74 per cent of 13.5 million audiences were under 24 years of age,” she says. “It complements and drives younger viewing to our co-production partner in the US, BBC America, which has an older audience. As rights owner and creator of the content, these are new and exciting ways for BBC’s storytellers to adapt and bring experiences to audiences, Lee-Joe says. At the same time, it means knowing much more about your audiences and tailoring your content. The driving force for marketing is the need to sustain global communities, 24/7, all through the year. Another way teams achieve this is by bringing talent in, or the crews doing the shooting for 117 shows in 40 countries each year. User-generated content also has a place, and up to 80 per cent of Instagram and video feeds content is curated and audience produced.